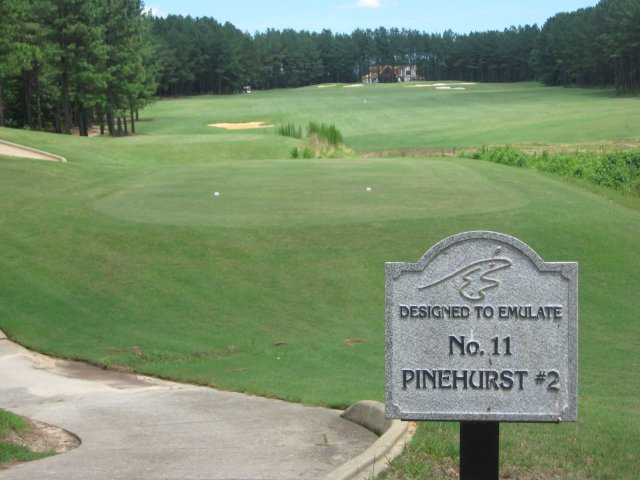 This acclaimed Curtis Strange signature course features replica holes from world famous courses, including Augusta National, Pinehurst #2, St. Andrews, and Riviera. Golf Digest honored Brickshire with a 4.5-star rating. Visitors love its wide, player-friendly fairways, dramatic elevation changes, and fast greens. Very popular with local golfers, Brickshire is considered an excellent golfing value. A convenient location just off I-64 makes it a perfect beginning or end to a Williamsburg golf adventure. The Golf Club at Brickshire provides a fair test for golfers of all skill levels with 5 tees ranging from 5151 to a strenuous 7291, putting every part of your game to the test, with uphill and downhill shots, uneven lies, forced carries, wetlands and water.